In 1993, the SEC had drunk the value-added koolaid popular among beltway bandits of the era. The story went that digital data cost a lot of money to produce and was only of interest to specialized audiences, such as Wall Street fatcats. Why should the government pay good money to serve these specialized needs? Instead, the feds should give all their data to retail information providers who would "add value," somehow making the data more palatable. Jamie Love, Ralph Nader's designated raider on Internet matters wasn't buying it and was demanding that the SEC put their EDGAR database on the Internet for free access by all. The SEC dug their heals in and told their congressional oversight committee that it would cost millions and millions of dollars to put EDGAR online, and that the Internet didn't make sense because it didn't as they so tactfully put it "have the right kind of people." What they meant was that the net was just a few computer science researchers on a DoD research project. Ha! After the SEC advanced their theory as to why EDGAR shouldn't go on-line, the congressional overseers decided they'd get a reality check. They called in the Internet Multicasting Service, the predecessor to Public.Resource.Org, and asked us what we thought about all this. Well, we told them we thought that the American people were the right kind of people and what sense did it make to have our stock markets function on less-than-perfect information? With a donated computer from Eric Schmidt at Sun Microsystems and a National Science Foundation grant arranged by Steve Wolff to let us buy the data, Brewster Kahle donated WAIS software for full-text searches, the newfangled web thing seemed like a reasonable user interface, and we were off and running! 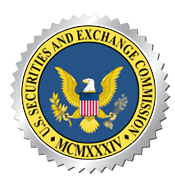 Two years later, with a little maneuvering and some bombast, the SEC was happily running the service themselves! To the Honorable Arthur Levitt, Jr. - WTF? To the Honorable James J. Duderstadt - A CLM?